If you are in the eLearning market, selling your online courses on YouTube is an idea that has probably crossed your mind. After all, YouTube is a very popular channel. But that’s exactly why things are not that simple. 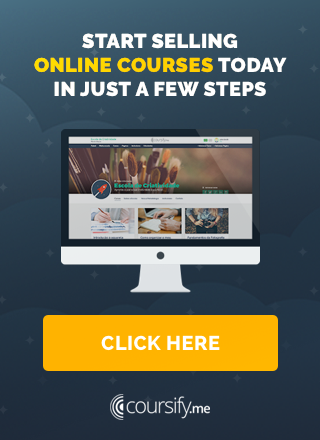 Selling Online Courses on YouTube is a good idea? Many people think that selling online courses on YouTube is simple. Just put the video there and make it accessible. It’s true because YouTube is the second-largest search engine, with 1.5 billion connected users watching 6 billion hours of video every month. That is, is a great place to sell anything. False, because that does not mean that if you publish the videos you want to sell on the platform, you will make money from it. YouTube is a great platform to market a product or service, but not to monetize it directly there. Despite its extremely broad reach, YouTube is not the best place to host your content if you want to get paid. 4 thousand hours of content assisted in the last 12 months. This means that a youtuber has to accumulate, on average, about 11 hours of videos watched per day. Second, because YouTube takes a huge cut and growth is slow on there, you do not end up generating the amount of money your content deserves (unless you become a celebrity with millions of subscribers on your channel). But do not be discouraged! 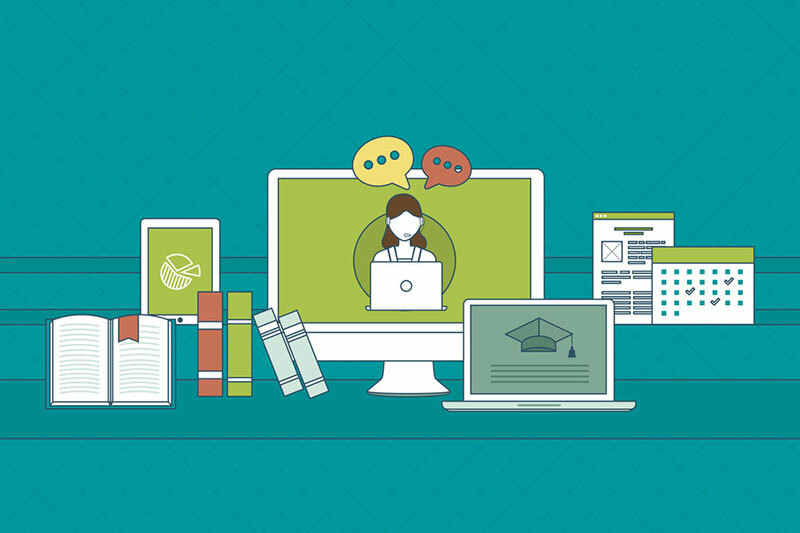 The huge audience of the platform is still very useful, and here is how you will take advantage of this to drive traffic to your online course website. By providing online courses on YouTube, your goal should be to promote your content, increase the viewer’s interest, and send it to your own website. Focus on creating engaging informative videos that offer some value to the viewer, but leave them asking for more. Here are 5 different types of videos you can produce to promote your online courses on YouTube. Teasers are a kind of appetizer of what to come. The main purpose of a teaser is to tease! Usually, it has a maximum of one minute in length, and is designed to increase expectation and show off some of your material. There is a small difference between teasers and previews. While teasers mix and match scenes and dialogs of the original video that will be sold, a preview is a real scene of the episode just the way it is. Teasers and previews are types of videos that explicitly promote your online courses on YouTube. The next types are more subtle, but still as important as the first two because they will help you build your brand authority. Create informative videos analyzing and evaluating products and services relevant to your area of ​​expertise. Thomas Frank, for example, uses his channel College Info Geek to, among other things, give tips on books for students. So he establishes himself as the authority on the subject and is discovered when someone searches for book reviews on YouTube. This type of content offers more opportunities for you to be discover online, since people are more likely to search for product reviews than a brand, especially if they do not know it yet. Like reviews of products and services, providing expert advice on matters related to your area of ​​expertise is a great way to establish credibility and authority. This usually comes in the form of “how-to-do” videos. Kandee Johnson, a makeup artist, has become a true online personality through videos in which she gives tips on makeup and beauty. This is a great way to be discovered and add credibility to your name as an expert in a specific area. Another tip is to invite leaders and industry experts related to yours to give testimonials about your product on your YouTube channel. To talk about Coursify.me, for example, we invited Reinaldo Silotto, technology and programming expert, owner of the channel TekZoom and platform user. These types of video help extend the credibility of your brand by attracting your audience. If your company participates in any event, post about it. This can be anything from a live lecture to a workshop or a discussion board. Chef and TV personality, Gordon Ramsay uses his YouTube channel to promote his business by sharing videos of recipes, cooking tips, and shows and events that he participates in. The best thing about event videos is that they show other people interacting and being engaged by your brand, which is often difficult to convey in any other way. If events are not part of your business model or do not fit, do not worry about it. But if it is, enjoy! If you get here, the question you should be asking yourself is: but shouldn’t I publish any of my online courses on YouTube? Would not that be a smart thing to do? Yes, you can and should offer this to your audience. The best way to sell your paid content is to make people love your lessons, so they need to watch at least one. It is important, however, to differentiate the paid videos you have for sale on your site and the free ones you have on YouTube. Make sure that free videos add value to your customers, but that paid content offers more value. No matter how good your online courses on YouTube are, if they do not link to your site or product, you will not get the results you expect. Include a clear call to action (CTA) in the video and a description to encourage viewers to visit your website for more information. You can end your video with something like “Check our website for more exclusive content (enter your website URL)”. Use the cards and end screens on YouTube that allow you to direct viewers to a specific URL, calls to actions, and new videos. Create a clear and compelling message about the value of content and the benefits your audience will have if they access your site. Integrate your brand as much as possible, visually and vocally, within the video to promote it. Ask people to sign up for your channel. This will give you another way to advertise new courses and warn them when this happens. It’s good to know the types of videos you can produce to promote and sell online courses on YouTube, but if you can not get people to watch those videos, it’s all in vain. So here are some tips on what to do to expand your channel and get audience attention. YouTube SEO affects your Google SEO, since 55% of all Google search results appear as video content and YouTube accounts for 82% of all online videos. Use keywords: Choose keywords with a good number of searches per month that are not too difficult to rank. Use your keywords in video titles: The ideal title for a YouTube video is between 6 and 8 words or so, and includes the keyword you decided to use. Use your keywords in your descriptions: Use keywords to optimize your video description. Include calls to actions and links to your landing page, social media, and any web pages relevant to your business. The more you learn about SEO, both on YouTube and Google, the faster you will be ranked in the two search engines, and the more traffic you will have on your site. First, create a channel, not simply post videos at random. Use the same visual identity as your site to reinforce the brand. Fill out your section with lots of relevant information and effective keywords. By creating authority, you will begin to gain much more visibility. As you begin to be consistent in publishing your content, you will begin to receive more and more subscribers, and your online courses on YouTube will begin receiving instant views when you upload them. The more content you publish, the more views you’ll get and the faster you’ll form your community. Selling online courses on YouTube is one of those things that need patience and hard work for long-term but worthwhile results. Therefore, in the first few months, do not pay attention to the results. Instead, focus on cultivating an online community and creating content for them. The important thing is to stay consistent, entertain your viewers and keep them involved. Producing videos is a perfect way to record more dynamic and interactive lessons for your online course. Elearning platform (LMS), Coursify.me has all the necessary features for you to import and integrate content from video hosting platforms such as Vimeo and YouTube. Instructors can embed their hosted videos into any of these channels on their page on Coursify.me, leaving their lessons even better and more complete.